We believe patient safety is paramount, and our record shows it. An adverse event is anything that injures a patient as the result of a medical treatment, as opposed to the patient's medical condition. This category includes patient falls, bed sores and other events. 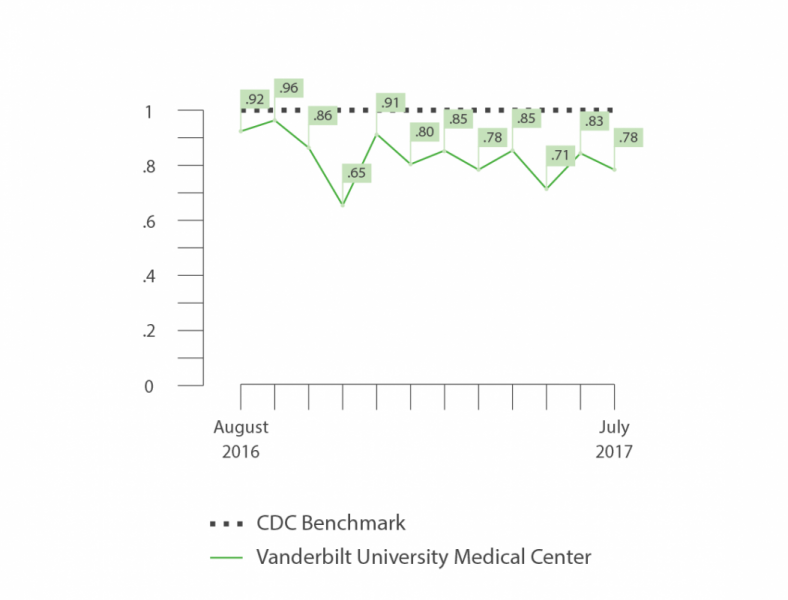 This graph shows how Vanderbilt University Medical Center beats the national average in this metric.